Caregivers from Home Instead Senior Care Warrington helped elderly client, Muriel Jones to celebrate her 90th birthday in style last week when they presented her with a beautiful bouquet of flowers to mark the occasion. Caregivers from Home Instead have been visiting Mrs Jones in her home since 2008 and wanted to club together to wish her a very happy birthday. 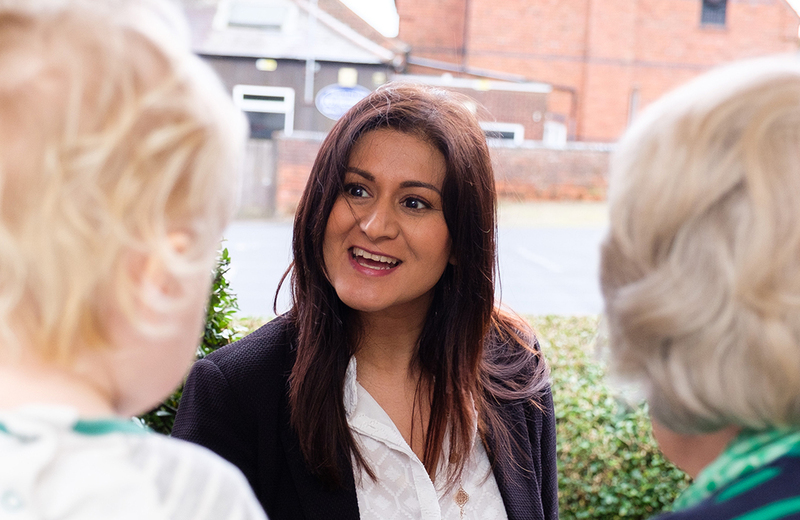 Mrs Jones, who grew up in Northwich Cheshire, used to work in service for her aunt on a farm and now lives at home with 2 budgies who she says keep her company during the day. She believes the secret to staying youthful is sticking to a small and healthy diet and not smoking. To contact Home Instead Senior Care Warrington please call 01925 230 006, or for more information visit www.homeinstead.co.uk. 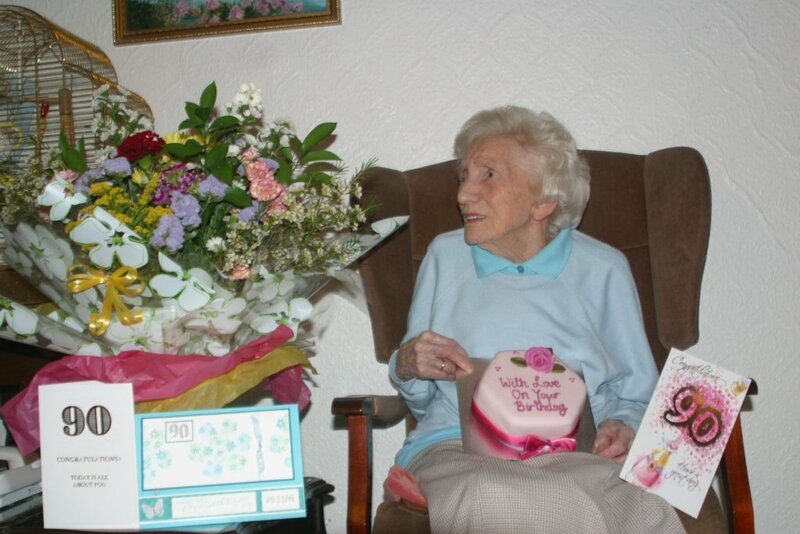 Photo Caption: Mrs Muriel Jones seated with her bouquet of flowers and selection of cards from loving friends and family.